At the core of our training is the knowing that each person, instinctively knows what is best for their environment and their life. Interior Alignment® practitioners are all around the world. Many of them work in person but also over the telephone or internet to help you create a home that is in alignment with your goals, needs and what you love. 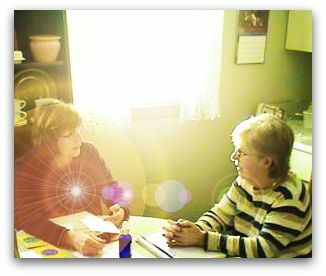 If you are interested in a new career, enhancing what you know already or looking to understand Feng Shui, Space Clearing and Sacred Space for yourself, then you can find a teacher near you that would help you with the next steps to take. Interior Alignment® embraces a client centered, holistic, intuitive approach of working with people and their spaces. We bring together the best of the mystical traditions of the East and native cultures around the globe, uniquely combining the principles of Feng Shui, Space Clearing, sacred ceremony, healthy homes and the power of intention and our deep connection to our dwellings. 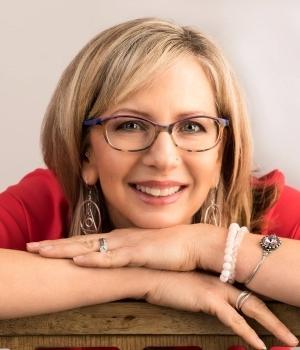 Denise Linn created the Interior Alignment system of Feng Shui and Space Clearing after studying cultures around the world and their ability to work with their space to create healing and uplifting environments. She has trained practitioners around the world, and now has trained Master Teachers to continue this work. “A home is more than a place to lay your head and seek comfort from the elements. It is a crossing point in time and space that can attract energy or repel energy. Your home can be a place of renewal and hope. 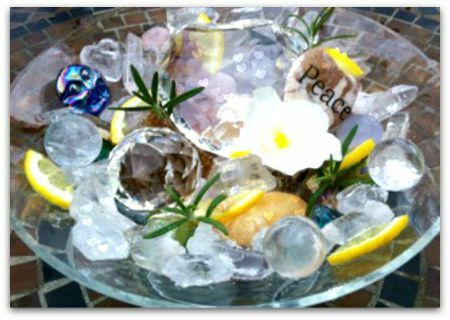 Our newsletters contain feng shui and space clearing tips to help you in your home or office. Organizing, decluttering and feng shui are often lumped into one basket. Yet, they are very different animals. To some the distinction is subtle. They even argue that they all accomplish the same goal of positively shifting the energy in a space. Yet, the nuanced difference can be life changing. Organizing is arranging objects, so they can be easily found and used. It’s a beautiful thing that accomplishes such benefits as creating more time and saving money to reducing stress and communicating more effectively. The problem with organizing alone is that it allows us to hang onto things that don’t serve us or our space. Just because I can arrange and store your 50 pairs of shoes in an aesthetically pleasing manner that you can easily access doesn’t mean that you should keep 50 pairs of shoes! You may have holes in the soles of some. Or ones that hurt your feet. Or ones that are just plain ugly. Decluttering is the art of removing unwanted items from a space. It’s the process we go through to make decisions about what to keep and what not to keep. The litmus test by many professionals is to keep those things we love, use or need…and to get rid of the rest. Easy peasy. Right? Yes…and no. Getting rid of those things that don’t bring us joy seems like it should be an easy task. But, in fact, it can be Herculean in nature. When we’re asked to let something go, our ego steps in and offers 101 reasons why it must stay. There are two problems with straight decluttering. Clutter is in the eye of the beholder. What is clutter to me may not be clutter to you and vica versa. Without looking at the energy of an object, it becomes difficult to decipher whether an object should stay or go. 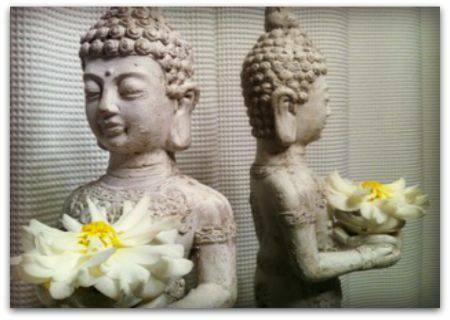 Feng Shui is the art of placing objects in a manner that balances the flow of energy. It uses the bagua to show us which areas of our life correspond to which areas of our home. And here is where the magic lies! 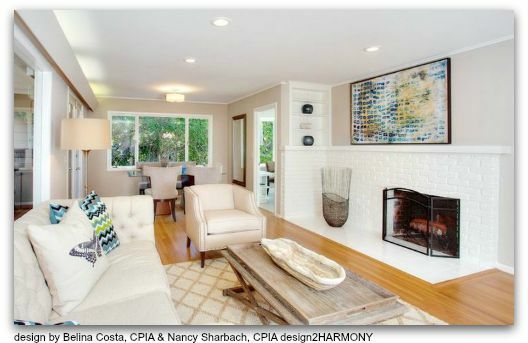 Feng Shui allows us to see how our home is anchoring the beliefs that are holding us back. It allows us to see past the physical appearance of an object and determine whether or not it’s clutter based upon where it’s placed in our home. Let’s use my own life as a quick example! Twelve years ago, I was invited to be a partner in an interior decorating company. I was the muscle of the team. My partner was the creative genius. She played with color. I carried the ladder. She told me I had a creative eye. I told her she was wrong. This was not the first time I denied my creativity. It was, in fact, a theme woven throughout my life. Not surprisingly, when I moved into my current home 11 years ago, I asked my business partner to make a centerpiece for my dining room table, because I clearly wasn’t creative enough to do it myself. And guess where my dining room table sits? No plot twists here! It’s in the area of my home related to Creativity and Children. Which explains why I frequently found myself stuck when it comes to the creation process! That centerpiece was anchoring my belief that I wasn’t creative. To a professional organizer or a declutter, that flower arrangement never would have been considered clutter. Where am I wanting to move forward in my life? What area of my home relates to that area of my life? What object in that area of my home has an association contrary to how I desire to move forward? Then, I am able to tap into something much deeper than simply organizing or decluttering. 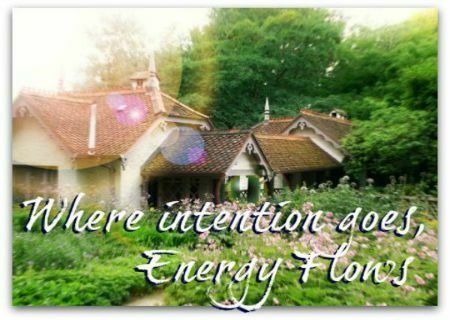 I am able to shift the energy in my home and consequently shift the energy in my life at a soul level. 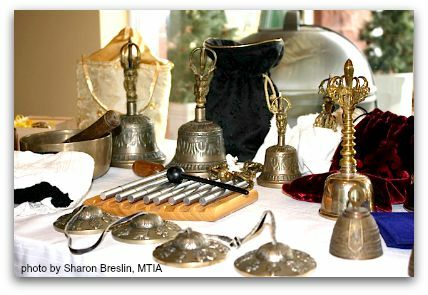 Dorena is a practitioner of Interior Alignment and a Certified Clutter Clearing Coach using the Linn Method. She is also a Reiki master and an Archangelic Light master practitioner. She offers her services in person as well as by video conferencing. Her super power is identifying what you’re holding onto that is holding you back. It is this intuitive gift that allows her clients to make changes in their environment which is the catalyst for making changes in their life. To me, its been a very natural part of living, to space clear the energy in my home. I have always been drawn to using feathers, smoke, candles, oils, flowers and calling on spirit for guidance whilst doing so. 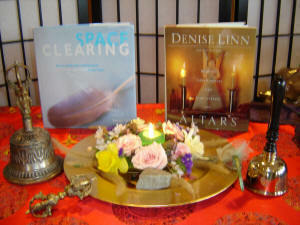 Three years ago now, I just so happened to notice Denise Linn’s on line course in “Space Clearing” On the Hay House website, to me this just made sense to go ahead and do the course. I had met Denise over 20 years ago, she was in Sydney Australia doing a Past Life Regression weekend workshop, which was amazing, and I loved her energy then.